Boyz II Men in Montreal or Quebec City? Inform me about the next events for Boyz II Men . Enroll yourself to our priority waiting list for Boyz II Men to be alerted when new tickets are available. Filling this form doesn't engage you to any purchase. 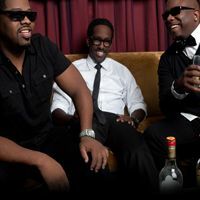 Boyz II Men is coming to Montreal on June 7th, 2012, for a concert at L'Olympia. With over 60 million records sold worldwide, Boyz II Men is one of R&B's most successful group of the 90's and continues to attract massive crowds to their concerts. Don't miss Boyz II Men in Montreal in June!